The idea for this series was to re-claim postcards by illustrating their narratives on the card itself. I purchased a set of over 100 vintage postcards (dating 1914-1980) that were posted (used). I scanned each post card, front and back. From there, I printed 15 doubled sided postcards, some of the front images and back texts were intentionally mismatched. 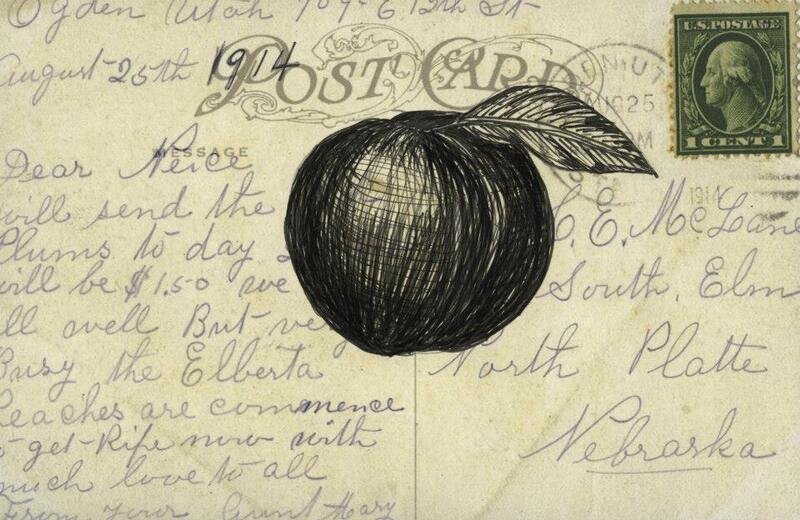 Then I made a drawing on each postcard that included one or more of the following: elements from the front image, repetition or reflection of the postcard design text, an element from the front image altered, or an illustration of the written message.